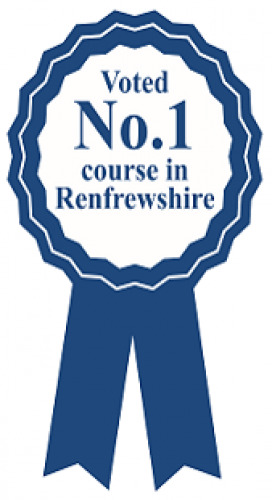 The top 100 courses list for 2018 has been published by 'Top 100 Golf Courses' and we are delighted to have retained our status as 'No.1 Course in Renfrewshire' and moved up one place to 69 in Scotland. Just one reason to consider playing here or to become a member. Last year we held a number of successful 'Visitor Golf Days' at East Ren and we are delighted to announce this will again be available to visitor for the coming year. Dates for 2018 will be posted here when available. We are delighted to introduce to members, our new Club Manager, Danny Welsh. Danny will take up his position towards the end of 2016 from existing Club Manager/Secretary, Graham Tennant who has been in the post since 2003. Representing a very prestigious appointment, congratulations go to East Ren member, Craig Watson on being named as the Walker Cup Captain to face the American Team in Los Angeles in 2017. One of Scotland’s most successful amateur golfers, Craig succeeds Welshman Nigel Edwards, who led the GB&I team to a record 16 ½ - 9 ½ win in the 2015 match at Royal Lytham & St Annes.